Nap Time is the New Happy Hour: Giveaway!! I love me some Shutterfly! Now, I would like to share my love with all of my fab readers! 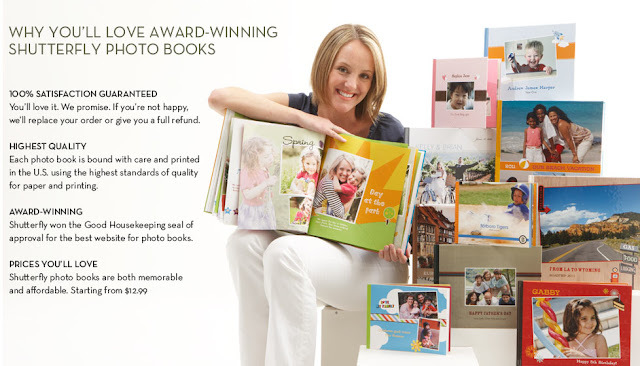 I am giving away an 8X8 Photo Book ($29.99 value)! To enter is easy peasy. All you have to do to enter is to tell me your a follower tell me your favorite idea to display photos in your home. 2. Grab my button and put it on your page and leave a comment telling me you did so. 3. Tweet about my giveaway and add me (CAE1982) in on your tweet and comment that you did so. The winner will be announced Monday, the 23rd! I just discovered your blog and i'm now a follower :) I love shutterfly and especially their photo books - I just made two of them for my mom and mother in law for mothers day. In our spare bedroom this is how I displayed photos.. I purchased a curtain rod with pretty sconces on the end, mounted it to the wall about 2.5 feet higher then eye level, then took 5 black identical photo frames put pics in them, attached them to thick black ribbon using a staple gun, the took the ribbons and hung them from the rod at all different lengths. I follow! I could so use this so I can FINALLY put my wedding pictures in something!